You take care to download applications that are really useful to you? The Freebees App is perfect for you! It allows you to have all the information on your mobile phone everywhere and anytime. The Freebees App allows you to quickly locate a Freebees Partner near you, wherever you are. Browse through the list of partners to discover their promotions and to accumulate and spend your Freebees money quickly and easily. 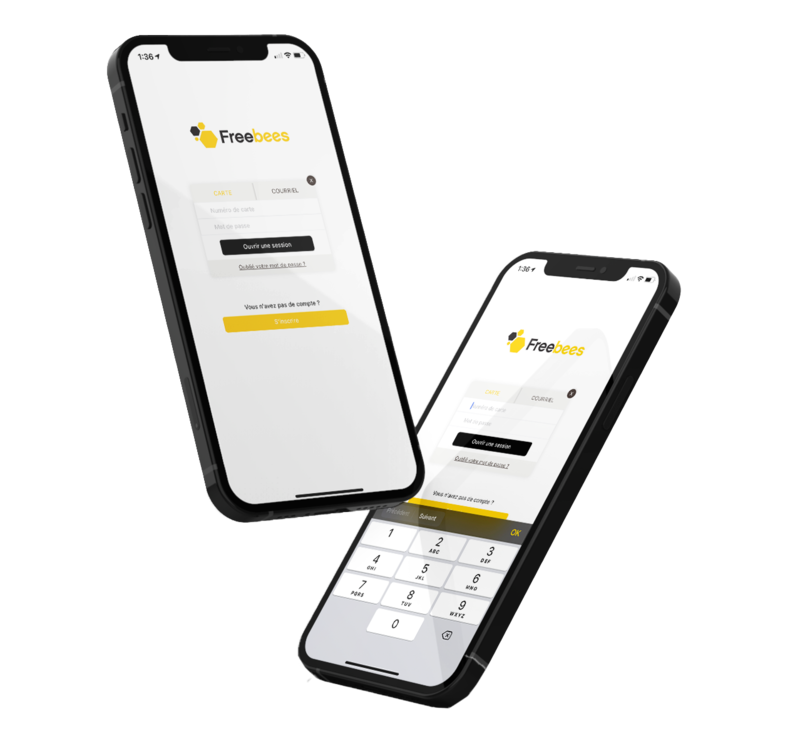 To facilitate access, The Freebees App is available on all two major mobile platforms. Please click on the desired platform to download the App and start accumulating and spending your Freebees money now. * Free download. Additional charges for data transmission may apply. Check with your wireless services provider. IOS ® is a trademark of Apple Inc., registered in the U.S. and other countries. Apple Inc. is not a sponsor or participant of Freebees application. MD† Android and Android Market are trademarks of Google Inc.